Web design is not just the visual appeal(6 Facts must know before web design), but a process beyond that. Aspects like browser variations, loading time, coding, and the design. 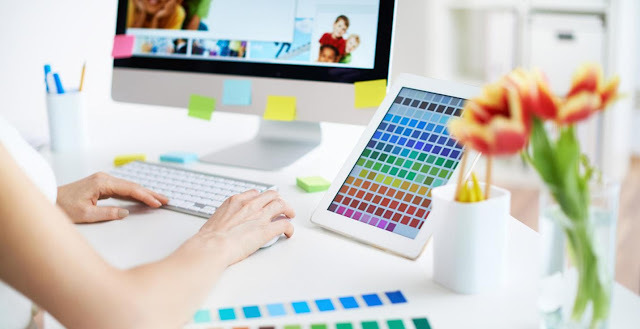 Here are 6 facts that's every web designer should know before web design, content can completely alter the user’s experience and resulting outcomes to a website. web design things you need to know before becoming a developer or web designer. So, let’s unleash some amazing facts of web designing that can completely alter the resulting behaviors on your website. The visual experience of a website from home computer can be different from an iPhone or another device. Have you wondered why a website looks different across multiple browsers? It is because of rendering and parsing, or the coding translator a browser uses to display it on screen. The role of a professional web designer is to create a website that offers a great experience for the audience. It is the job of a web designer to handle all CSS and HTML queries, different browser issues so that your website looks good and performs well across distinct browsers. Your website design must dictate viewers to most important information, like your company’s blog, online store, organization history, or other vital contents. You can use analytic tools and heat maps to identify the buttons and links that are popular so that they can regularly enhance the user experience with further updates on the website. You need to work hard in order to keep pace with the technology. Since there is a continuous evolution of devices and browsers used to access the website, so the way websites are designed and developed is also changing. To remain relevant and have an edge over others, web designers need to use the latest coding standards, search engine algorithms, and browser compatibility updates. With an outdated website, you can run the risk of unable to display the content, images, and items properly in a web browser. Most importantly, it could result in formatting issues or not showing effective search engine results. Hence, even a year old site might need revamping or updates. Most of the people consider website templates an easy way out to create a website design. With pre-packaged templates, it is possible to create a site with less or zero coding knowledge. Even the templates may include unnecessary design elements and bloated code. As a result, your company can lose credibility. If you make small changes and force the design template to create a new look, then this can make it look all the more patched and deliver inflexibility. Hence, make sure you pick a custom-made website design for your organization. The web design must be able to cater to the needs of your company as well as customers. Such templates would offer higher flexibility and would be beneficial for your company. Maybe, your website is the most stunning in the world, but what good it would offer if it has now an audience to use or view this website. Being a professional web designer, it is of utmost relevance to coding your site with a clean and flawless mechanism. Even search engines prefer the same!. The clean code will ensure that search engines are able to locate easily your website for specific keywords. The way you code your website also affects the search engine listings. From the description of the site to the title of web page, it affects how such things will appear. Search engines can bring new traffic to your site, but only if your website is fully optimized. Hence, consider the coding best practices to ensure that your website holds a strong foundation and a friendly relation to search engines. Most people consider responsive web design similar to mobile web design. However, the two are different approaches to shift screen size. Mobile web design is restrictive. It is a concise version of your site that functions well on tablets and smartphones. The mobile web design must present basic yet important information to users and must at least showcase fully glory of your website. Responsive design refers to a web design that is flexible and scalable to different screen sizes without disturbing the website’s layout. It delivers a consistent visual experience to the users, be it any screen or device. Even the design is suited to each individual device. Hence, responsive web design is one that delivers the same stunning images, smooth navigation, and typefaces for all screens and devices. Web design involves numerous intricacies with sprinkles of new trends and techniques. With a better understanding of mix and updates, you can create the best possible website designs. Hence, do consider these vital web design facts while you move ahead to boost your web presence! Sunny Chawla is a Marketing Manager at AIS Technolabs – a Web design and Development Company. Helping global businesses with unique and engaging tools for their business. He would love to share thoughts on Ecm Services, Hire Web Designer India and Web development, Know more about Sunny Chawla.